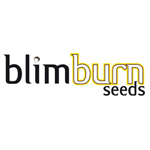 Blimburn Seeds - Grizzly Purple Auto. Free US delivery. Grizzly Purple Auto is a cross of Critical Auto and Purple Afghani strains. It has a delightful purple colour and each plant can produce very decent yields. In its life-cycle of 70 - 80 days Grizzly Purple Auto can yields as much as 150 gr/plant. Outdoors the best time for growing is between April and September, there is likely to be insufficient light at other times of the year unless it is grown at low latitudes. The taste is somewhat tannic with notes of citrus fruits. It has a powerfully relaxing effect, despite its THC level between 9 - 13%, and its 0.6% CBD may help with this. It has been recommended for treating symptoms of stress, nausea, lack of appetite and for pain relief.